Crin Antonescu, the chairman of the Romanian National Liberal Party (PNL) announced today (26 May) that his party is going to give up its affiliation with the liberal ALDE family, and switch to the centre-right EPP. PNL obtained 14.86% of the vote, according to exit polls and can count on 4-5 MEP seats. EURACTIV Romania reports. However, Antonescu also said he was going to resign, as his party obtained less than 20% of the vote, the target it had set for itself. “Due to the European context, I will ask the Bureau of the Party – the executive body – to allow liberal MEPs to affiliate themselves with the EPP,” said Antonescu. He gave two reasons for the move: First, he said his force wanted to avoid the risk that the next European Commission is led by a socialist. However, given the overall results of the European election, this possibility seems more than remote. Second, he said, there was “a doctrine compatibility” between EPP and PNL, the latter being traditionally a centre-right party. “The meaning of this decision is that right politicians should join their forces in the EU and in Romania,” Antonescu told the Brussels press. The move is likely to inflict a blow to ALDE, which boasts 72 MEPs and is the third largest group in the European Parliament, following the EPP, with 212 MEPs, and the Socialists, with 187 MEPs. Antonescu’s PNL was in coalition with the Romanian Socialist party (PSD) of Prime Minister Victor Ponta, with which he won the 2012 election. Last February, the PSD-PNL coalition was dissolved due to tensions, but Ponta retained his parliamentary majority through an alliance with two smaller forces, the Conservative Party (PC) and the National Union for Progress of Romania (UNPR). 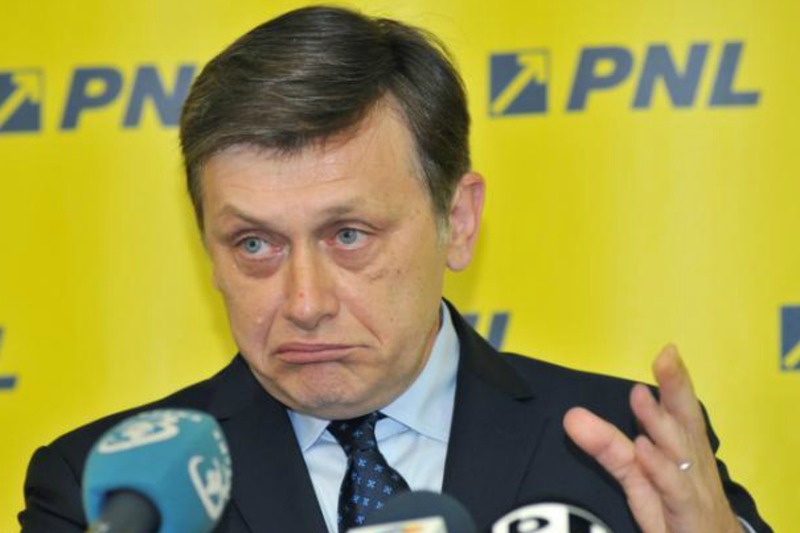 Their former partner, the PNL, shifted towards the opposition, while, at the same time, a newly formed right-wing political party, Popular Movement, managed to attract several former members of the Democratic Liberal Party (PDL), including receiving support from President Traian B?sescu. According to exit polls, PSD, in coalition with PC and UNPR, won 37.4% of the vote. Second came PNL, and third, the Democratic Liberal Party (PDL) at 12.23%. Fourth came Mircea Diaconu, an independent candidate and former actor, with 6.92%. The last two political to have crossed the 5% threshold are UMDR, the Democratic Union of Hungarians in Romania, and PMP (the Party Popular Movement), a new political project supported by B?sescu. Romania is represented in the European Parliament by 32 MEPs. The wife of Ponta, Daciana Octavia Sârbu, and the wife of Antonescu Adina V?lean, are currently MEPs.